Very flavorful and crumbly cookies. If not to overbake, it is soft and gentle, if bake more — brittle as crunches. Choose, as you wish. This cookie has a very rich orange flavor. With morning coffee or tea — there is nothing better. 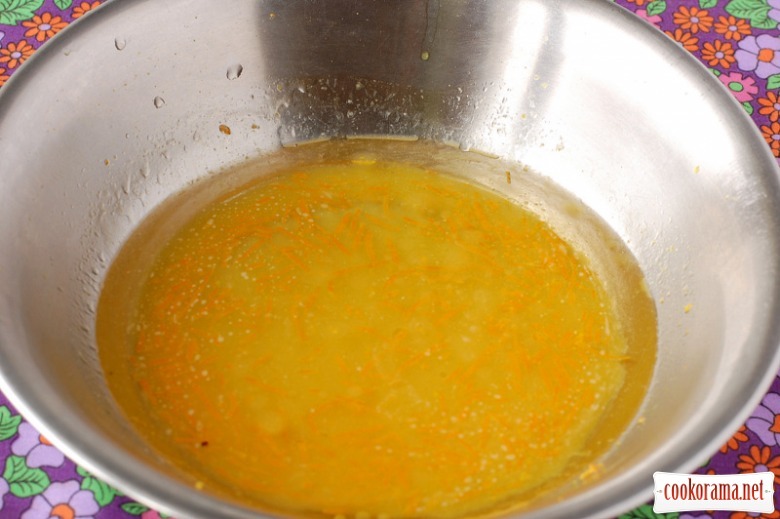 Peel the average by size orange and squeeze juice. 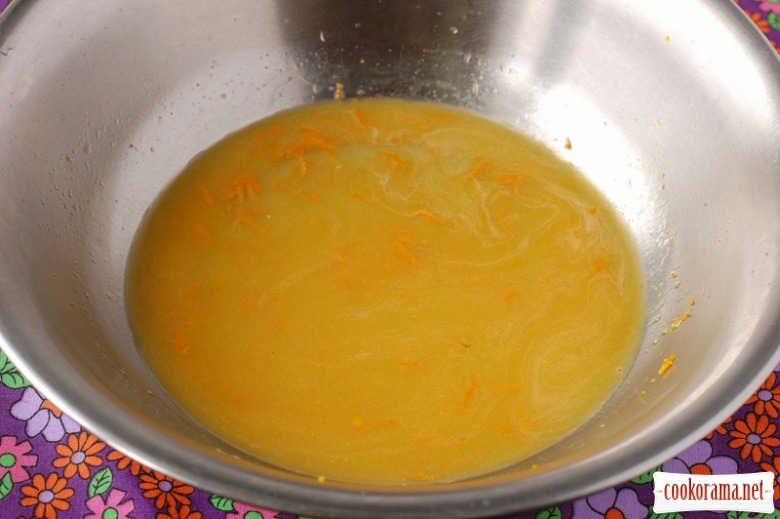 There should be 7-8 tbsp of juice. Mix flour and baking powder in. 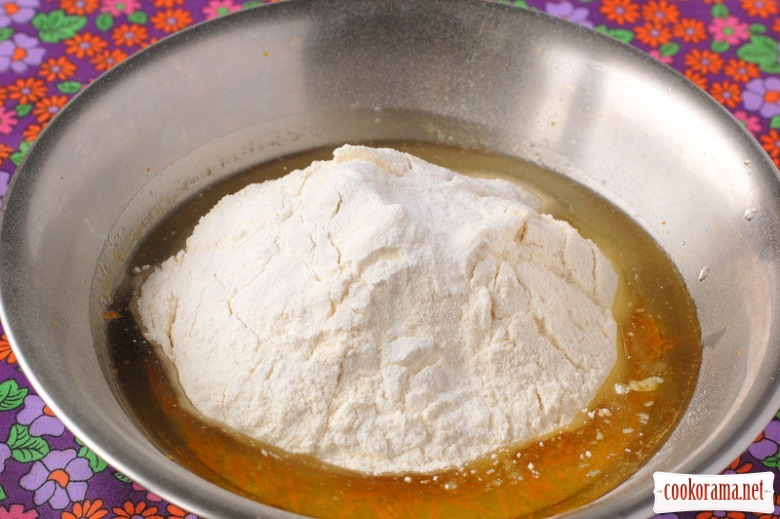 Flour should be needed 1-2 tablespoons more or less. 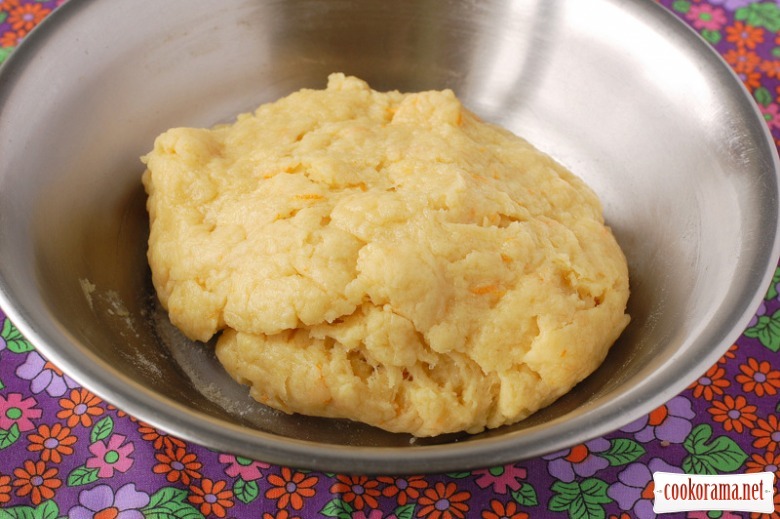 Dough should be sticky and a bit soft. 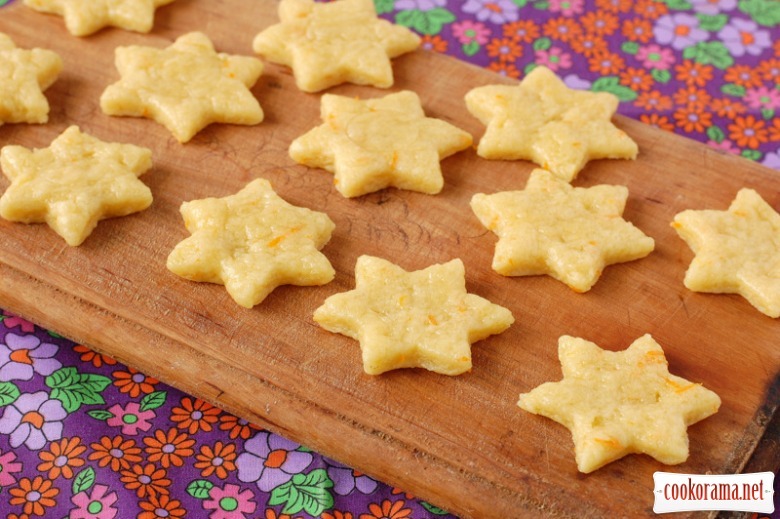 Roll dough of 3-4 mm thick and cut off stars. Bake for 12-15 min at 180℃. If you want the cookie to be soft, you have to remove it as it is only a little browned on bottom. By cooling it becomes a little harder. 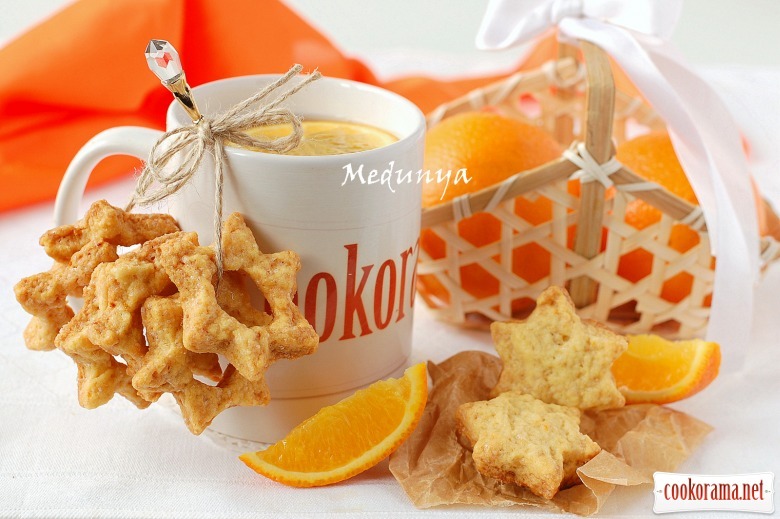 Top of recipe "Cookies "Orange stars""
Яке гарне фото! І печиво має бути смачним! Вкусное печенье и нежное фото! дуже гарні і сонячно-весняні фотки! І мені дуже фото сподобалось. Ну і печиво само собою. Дякую, Леся, за завжди гарні рецепти! Spasibo za rezept! Ochen vkusno pluchilos'!!! 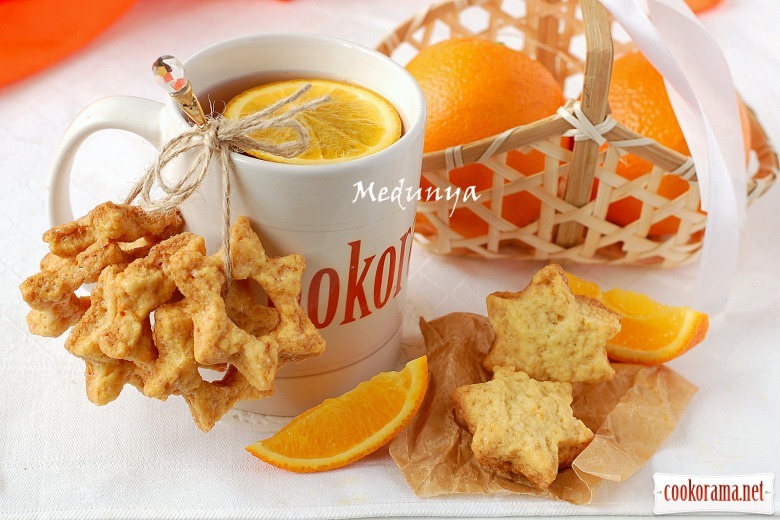 Recipes, Cookies, Cookies "Orange stars"